Please click on the Into Cart button below to add a mayan throw blanket to your cart. 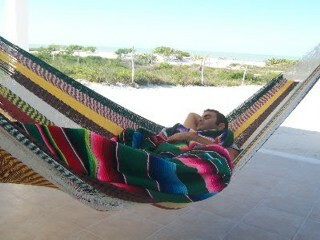 Why not throw on a colourful cotton blanket to ward off the evening breeze when you're enjoying your hammock outside! Warm and decorative, it also adds casual colour to any room.